The problem with negativity is not in saying “no” or finding reasons not to do something; it’s when these reasons are based on irrational fears – as most negative reasoning is – or when negativity is expressed more than necessary or in ways that are not necessary. Have you noticed that when you make a negative pronouncement or use negative language that others around you are more likely to use them as well? For instance, if you say, “This project isn’t going to work out,” you make it more likely that colleagues on the project are going to think or say something similar, thereby making failure a self-fulfilling prophesy. If you use abusive language, like calling someone “stupid,” or a government “corrupt,” you make it more likely that those around you will use that same language. This may be exactly what you want to do. However, be very careful about this, because what you are creating is an echo chamber. You are generating a culture of negative values that will reinforce not only your perceptions and world view, but a negative world view. So what? Negative thinking, perceptions, and world views put sawdust in the machinery of creative problem solving. It puts breaks on growth by sowing doubt, skepticism, pessimism, cynicism, resistance, avoidance, confusion, and general constipation. If you don’t want to be surrounded by negative thinking, be very careful about what you say and how you think. It is likely that you are much more negative than you think you are, you just have not recognized a lot of what you think and say as negative. For example, thoughts and expressions of doubt are negative, and these are common in language: “I don’t know;” “Do you think I should…?” “Maybe…” “Perhaps…” “Sort of…” “Kind of…” These common negative speech qualifiers are like raindrops; alone they don’t do anything, but together, and over time, they erode mountains. If you want to erode your resolution, goals, plans, and purposes, use them. You have good reasons why you’re negative. It feels right, true, and honest. When you think, “I’m stupid,” “She’s a fool,” or “It won’t work,” you don’t feel or think that you are being negative. If someone points out to you that you are, you will defend your words as “cautious,” “realistic,” or “necessary.” You think being negative is smart because it keeps you safe or because it tells the truth about people who are dangerous because they can’t be trusted. Are such beliefs cognitive distortions or not? They probably are, and you are not seeing it. If being negative doesn’t keep you safe but only gives you a soothing, comfortable feeling of safety, it’s not smart; it’s putting you into a state of deeper self-delusion. Your negativity is deluding you into self-destruction. If being negative tells a truth about someone that is not necessary to tell, then what you are doing is trashing the part of yourself that other person represents. Is that smart? Is that helpful? The alternative to negativity is not to be unrealistically positive. It is not to “think happy thoughts.” It is not to be unfailingly cheerful or insufferably optimistic. That feels phony and unrealistic. People will think you are putting on a show for you and will wonder how bad it will be when your “inner demon” finally surfaces. Don’t be afraid to be honest about your dark side, but emphasize discussing it rather than demonstrating it, explaining it rather than acting it out with a useless show of drama. 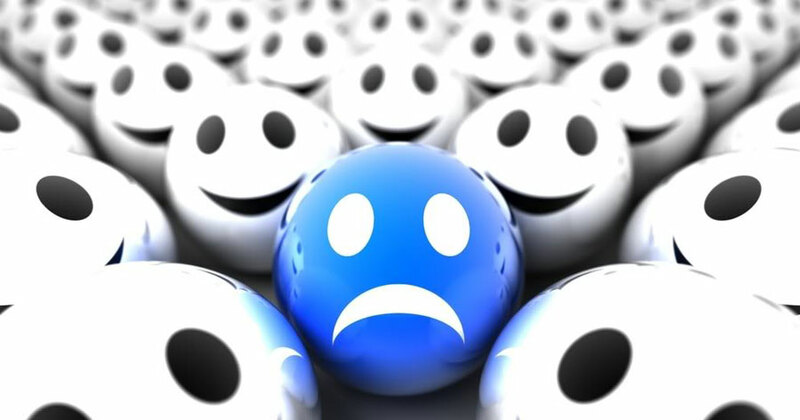 Negativity is meant to be used as an occasional garnish, spice or accent. If you yell all the time you have to yell even louder if you want people to hear you. If you curse all the time you have to curse even more if you want people not to tune you out. If you are negative a lot you have to be even more negative to get people to notice. However, if you rarely yell, you don’t have to be very loud very often to get attention; if you don’t curse, when you do it will have the force of a thunder-clap; if you are seldom negative, when you are it has both force and significance. Think of negativity like surgery: You don’t want to go under a surgeon’s knife if you don’t have to, but when you do you want it to be quick, effective, with maximum impact combined with minimal pain. Do not be afraid of being negative. Be very afraid of habitually voicing negativity or thinking in negative terms. Start watching what you say and how you think. If it is fear-based, there is about a ninety-five percent chance that it is negative. You then must ask yourself, “Is this fear realistic?” “Is thinking or expressing this negativity necessary, helpful, or genuinely funny?” When you reduce negativity in your life you will find you have more energy, more focus, and more satisfaction with your life, even when you are surrounded by problems, challenges, and difficult people. Next PostStupid or Smart Mobs?